1- Make a brine for the turkey at least 12 hours before cooking time. Mix in the sugar and salt to cold water (about a gallon depending on the size of your bird) in a pot big enough to fit the entire turkey and place the turkey inside the pot overnight in the refrigerator. Make sure the turkey is completely covered. 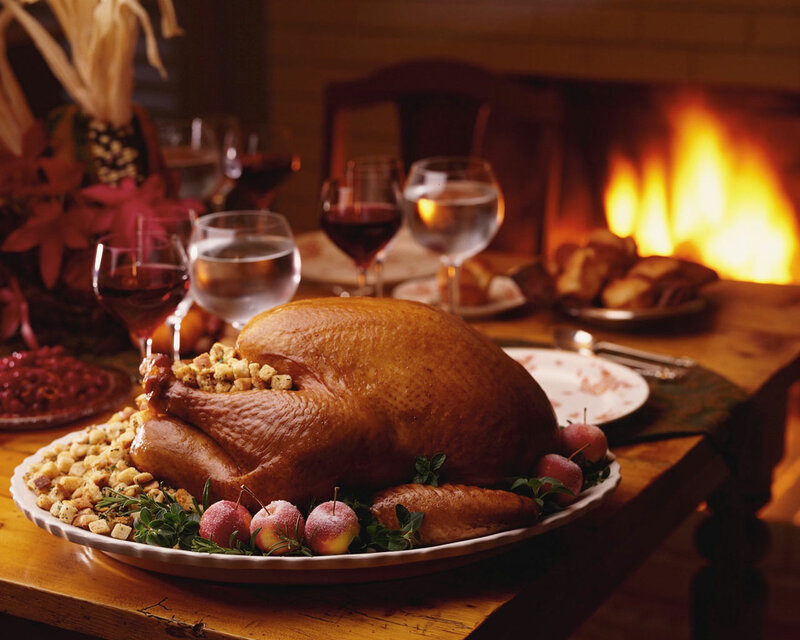 7- Remove the turkey give a final brush of Cherry Vinegar and let sit for 5 minutes to reabsorb it’s Juices. 8- Make a roux by adding the butter and flour to a small pot and mixing until golden brown. 9- Pour in the juice from the turkey into the pot while mixing. After it has boiled add in an additional fresh cup of cherry vinegar to. 10- Enjoy your new favorit turkey.